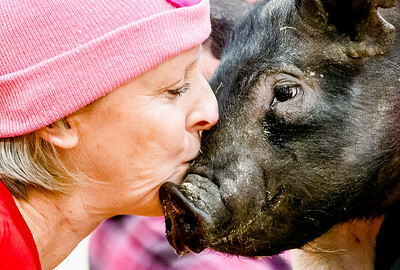 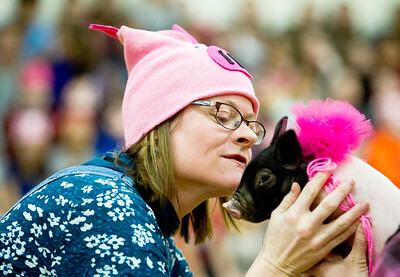 Speech Therapy teacher Rebecca Cosman kissed a pig at Riley School in Marengo Tuesday, March 1, 2016. 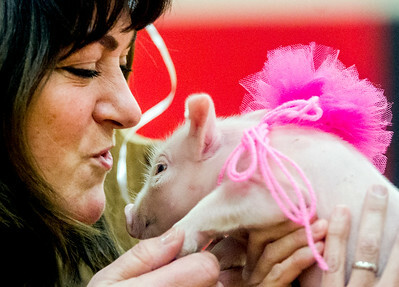 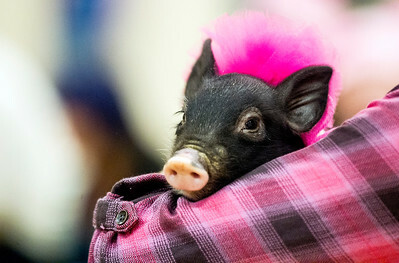 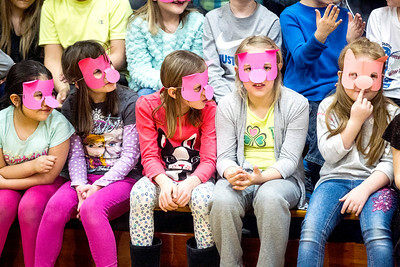 Students were encouraged to fill up piggy banks belonging to the teacher that they wanted to see kiss a pig. 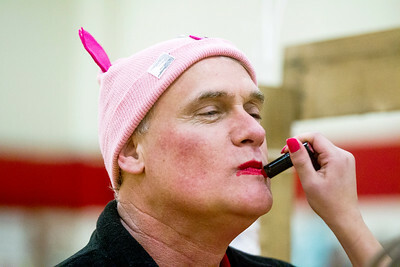 16 teachers participated in the fundraiser that raised $2,700 for the school.